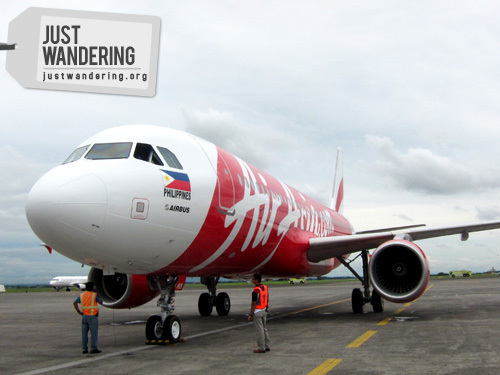 Low cost carrier giant AirAsia further expands its network with the Filipino owned and operated Air Asia Philippines. The Diosdado Macapagal International Airport in Clark becomes the 13th hub of the AirAsia group. Though announced back in December, the airline only received its first Airbus A320 recently and today, it landed at DMIA from the Airbus headquarters in Toulouse, France. The AirAsia Philippines is targeted to start flying commercially in October 2011, serving Singapore, Macau and Hong Kong, upon official approval. The second aircraft is expected to arrive in first quarter 2012 and will ply the routes to Bangkok (Thailand), Incheon (South Korea), Kalibo and Puerto Princessa. Suffice to say, this is great news for travelers, specially for those living in the North and Central Philippines. More than anything, I’m eager to see how this new player in the industry will affect airfare prices. I hope they open Siem Reap and Hanoi. I’m hoping for the same! Yan din ang inisip ko! Panalo yun, puedeng puede nang mag Vietnam overland, no need to track back to HCMC! Hi Nina! I’m not sure if you remember me, entrepgirl. I decided to revamp my blog after stopping for about one and a half years, and I started using my own name. You don’t write for kainpinoy.com anymore? It’s always nice reading your posts. Hope you could drop by my blog. Wow! Excited for this one!!! We have more options! Nice, this is good to hear.. :P Let’s Travel!! More airlines = cheaper plane tickets.. YAY!!! hi, i think your blog is amazing!! very encouraging in fact. i wanted to be a travel blogger for quite some time now, i just don’t have any connections to start doing it. financially, i don’t have that capability unless i’d be sponsored. any tips? You don’t need connections to start travel blogging. Just travel and write about your stories. This addition will definitely be a boon not just for outbound tourism but for backpacking foreign tourists who will finally be able to visit the Philippines! Indeed! They already boast that there was a rise of tourists flying in from Malaysia to the Philippines via Clark. Sounds interesting. A new airline! I hope it won’t only be available in Clark. And I hope the airfare won’t be too heavy on our wallets. i hope to see them flying in every major Philippine Domestic points.. that would surely lower the airfare rates due to competitions.. I wish they make NAIA routes in 2012 too.